Thinking about installing a sprinkler system for next year’s round of hot weather? We hear from a lot of people who think about it, then don’t go ahead for one reason or another. But we also hear from people who go ahead and are not only happy with their decision, but wish they’d done it sooner. Our advice to you is, don’t let an initial sprinkler installation quote deter you. Prices for irrigation system installation can range from $3,000 to $5,000, but shopping around isn’t a crime. Get the best price you can for quality installation of a quality product. But while you’re shopping, here are a few things to keep in mind. While you’re looking for the most attractive price for the best possible system installation, you should beware of magical promises. When you sense that the contractor you’re talking to is lowballing to get the job, you may have a cowboy on your hands who’s going to cut corners. Another magical promise is a definite, carved in stone start date. Most installations take place in the early part of the season, which means volatile weather conditions which can change from moment to moment. If your contractor is sounding too confident about that “carved in stone” date, that’s a bit of a concern. Look for straightforward talk and phrases like “if weather permits, we can start that week.” That’s honest and acknowledges weather realities. Contractors who ignore factors like that aren’t playing straight with you and if they’re willing to fib about a start date, they’ll fib about other important matters, too. Your best bet is not always the lowest bid. As I said above, lowballing can mean cutting corners and that can lead to problems, down the road. What you need to focus on is honesty, due diligence and transparency. A quality contactor will provide you with written information about the sprinkler components being installed, as well as provide you with a detailed plan concerning installation, showing the various zones and connections. Your installation should also be held under warranty for at least one year, with a 3-year guarantee on parts. Also look for assurances that you’ll be receiving the support you need for the initial year’s maintenance of your new system. Ask your contractor questions like whether the parts being used are commercial grade. Do they come from a recognized irrigation manufacturer like Rainbird, Toro, or Hunter? Be sure to ask for references and to see prior installations the contractor has done. Be sure to check that your contractor is experienced and has knowledge of new technology. Talk to friends to get additional feedback, if possible. Above all, use your horse sense. Most of us know when we’re dealing with someone who doesn’t have our best interests at heart. The best advice we can give you, though, is to contact Wetscape, a Royal Irrigation Company. 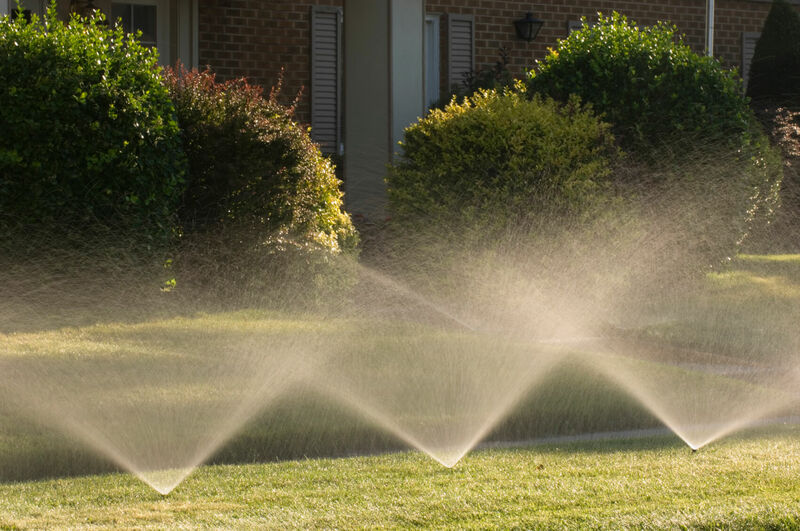 With our collective years of experience, we bring you the best in sprinkler installation. Contact us for more information.